This 2-4 player game is a great way to bring the family together. Chowkabara builds and fine tunes skills of logic and strategy. 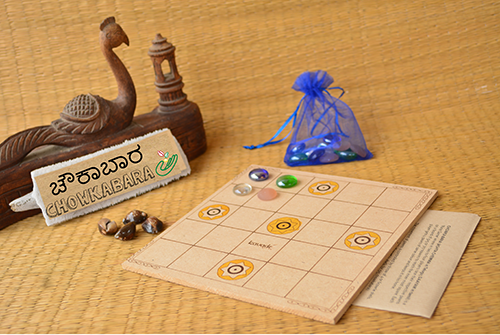 This fibreboard version of the game comes with 4 sets of colourful pawns and 4 cowrie shells.